To curb immigration and control housing prices, New Zealand has passed a law banning non-resident foreigners from purchasing existing properties there. The Overseas Investment Amendment Bill has been in the works for a year as one of Prime Minister Jacinda Ardern’s key election pledges. Ardern has blamed foreigners for the rising prices that have left many New Zealanders unable to enter the housing market. During the past decade, house prices have almost doubled and are up more than 5 percent in 2018. As prices soar, New Zealand’s housing market continues in crisis mode. Increases in the capital, Wellington, were up by 18.1 percent in 2017. 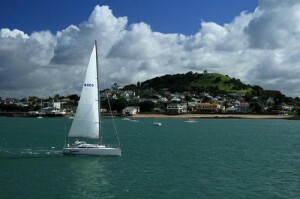 Auckland, the country’s largest city, is regularly ranked as one of the world’s least affordable places to buy a home. The International Monetary Fund warned the government the move could harm foreign direct investment. Data shows most foreign buyers in New Zealand do not state where they are from, but the ones who add that information are from China. The country also is a retreat for the rich and famous.